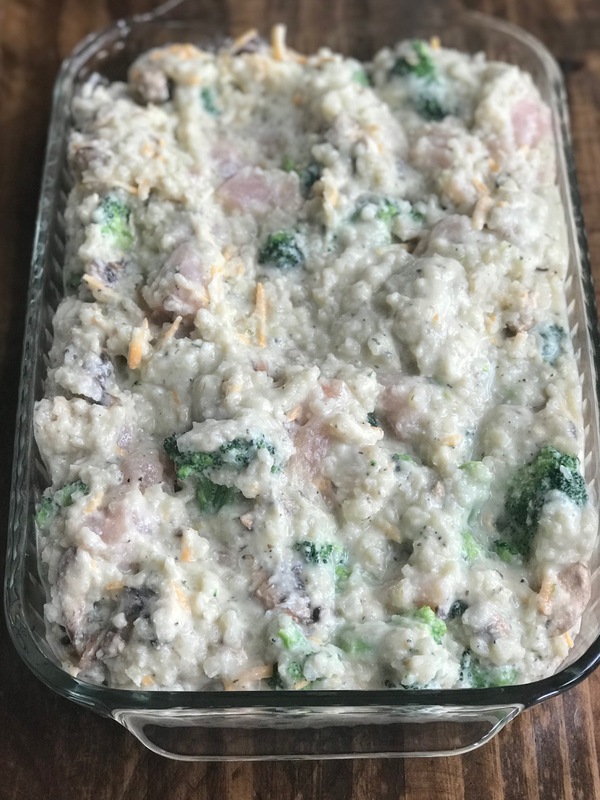 Chicken Broccoli Rice Casserole is a made from scratch, one pan dinner. 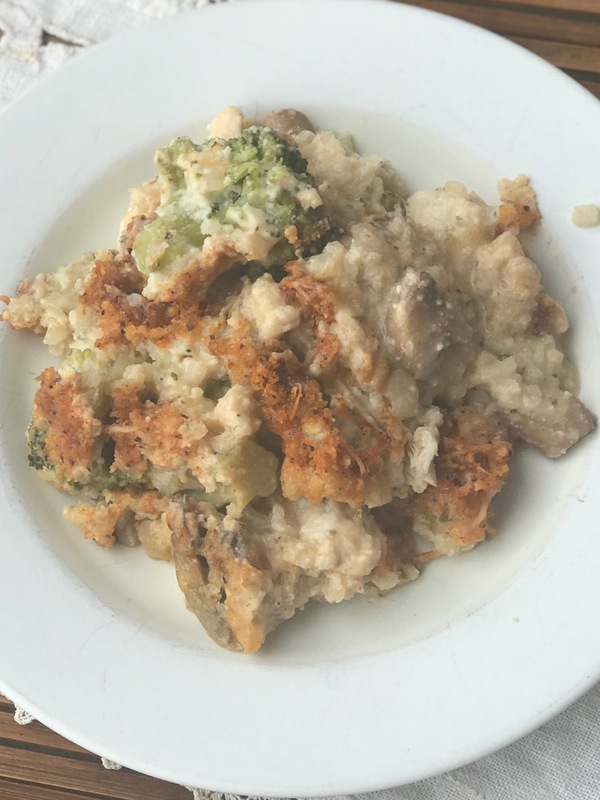 Veggies, chicken and cauliflower rice in a homemade cream soup, topped with a gluten free, cheesy, crunchy topping. As a busy mom, I love casseroles! 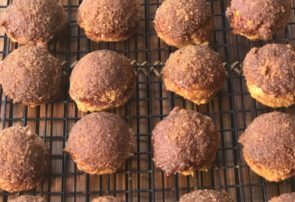 Even better when they are easy, healthy and my whole family will eat them! 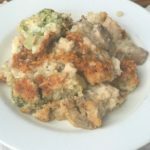 This casserole is low carb, packed with veggies and I can promise you it is husband AND kid approved too! It’s a great weeknight meal and the leftovers make a delicious lunch. 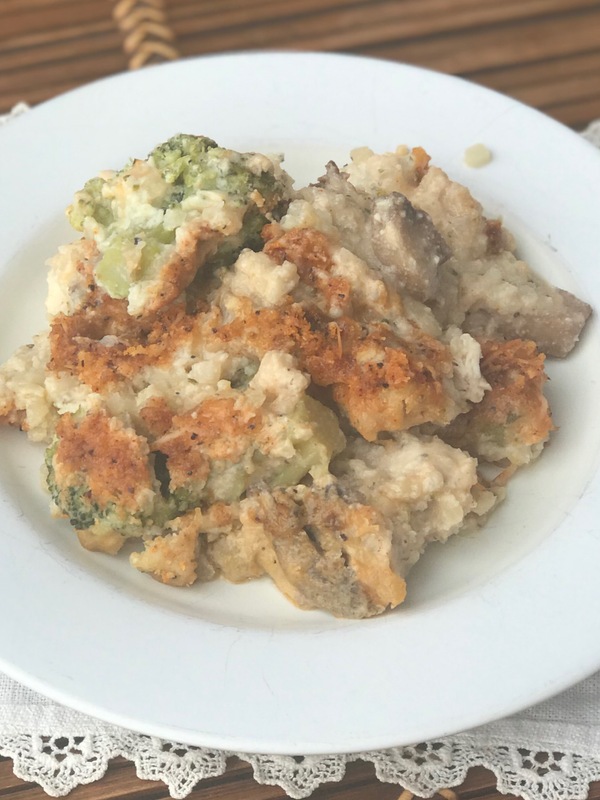 If you’re on a low carb diet or you just tend to eat carbs earlier in the day and fill your dinner with a protein and veggie packed meal (that’s me), then this casserole is perfect because it’s an all in one meal. 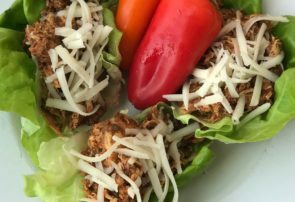 If you do prefer a carb to pair with this casserole, these Gluten Free Drop Biscuits would be a delicious addition! This casserole is so easy to throw together and bake. The most time consuming part is making homemade cream of chicken soup, but even that only takes 10 minutes! 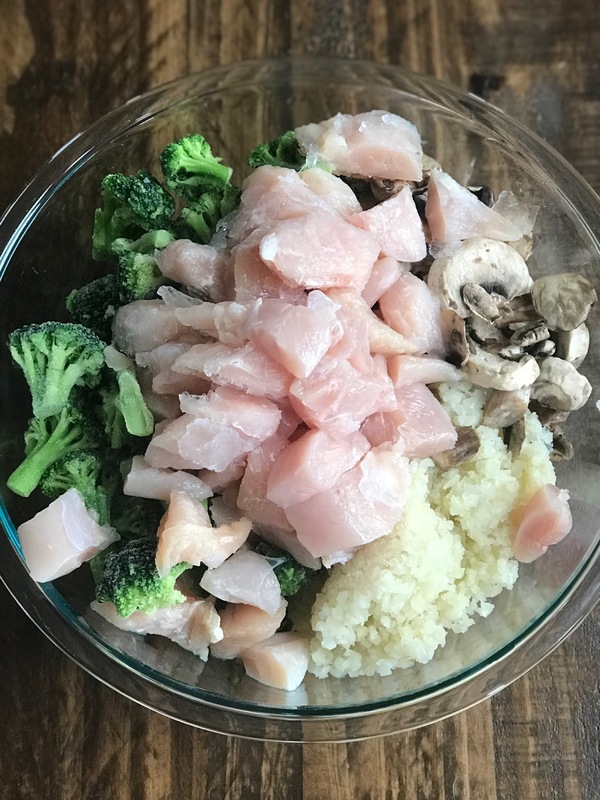 In a large (very large, the biggest you got) mixing bowl, add cauliflower rice, broccoli, mushrooms, and chicken. Pour in homemade cream of chicken soup (while you can use the canned version, I really, really encourage you to make homemade – it’s easy and far superior taste AND health wise) and mix well, coating the veggies and chicken. Add in shredded cheese and mix. 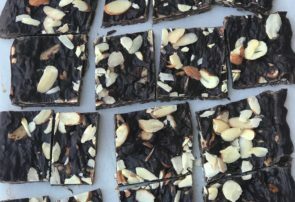 Pour everything into a 9×13 glass baking dish. Bake casserole at 350 degrees for one hour. When the casserole is almost done baking, prepare your topping. 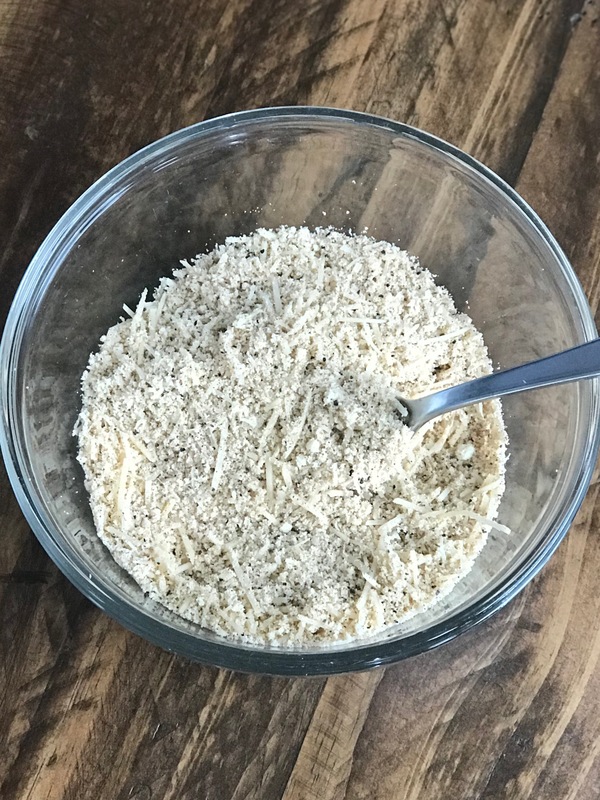 In a small mixing bowl, combine almond flour, parmesan cheese, salt, pepper, garlic powder and paprika. When casserole is done, remove from oven and coat evenly with topping. Place casserole back in oven and bake at 350 degrees for 5 minutes and then broil for 5 minutes and then remove casserole from oven. After removing casserole from oven, the casserole will look very runny. Let casserole sit for at least 10 minutes to finish “setting up” before serving. In a large mixing bowl, combine cauliflower rice, mushrooms, broccoli and chicken. Pour in homemade cream of chicken soup and mix well, making sure all the veggies and chicken are coated. Add in cheese and mix in. Pour mixture into a 9x13 inch baking dish. Bake casserole at 350 degrees for 1 hour. When casserole is almost finished baking, prepare topping by mixing together almond flour, parmesan cheese and spices. 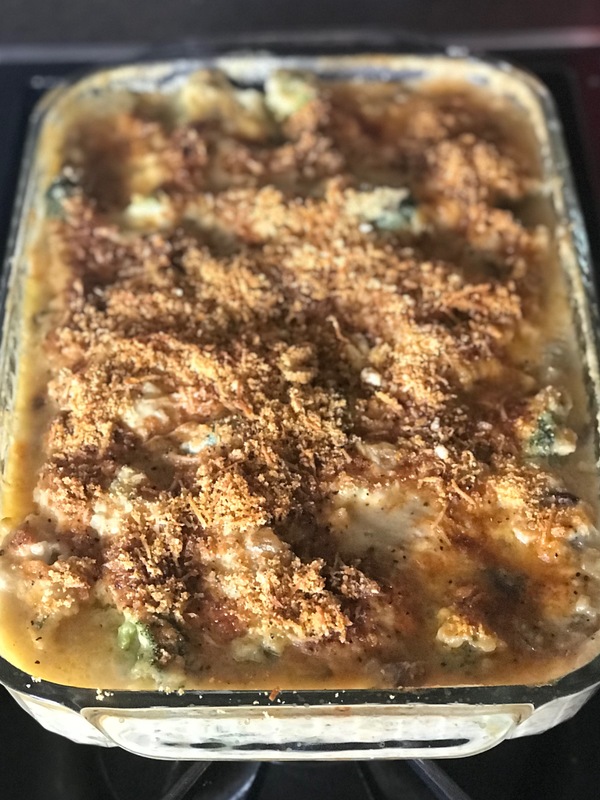 When casserole is done, remove from oven, evenly coat with topping and then place bake into the oven at 350 degrees for 5 minutes and then broil for 5 minutes. Remove casserole from oven (it will be runny) and let sit for at least 10 minutes to 'set up' before serving.